He’s the guy behind the stories you’ve been reading in our pages for more than four years: Michael Vyskocil, YRK Magazine’s associate editor and writer and YRK Creative’s copy chief. More than a chef of fine words, Michael is also a home chef and unabashed foodie at heart. Downtown York is where he feeds both his love for telling great stories and discovering great dining experiences. Q: How did you get interested in cooking? A: As a child, I always wanted to be in the kitchen. I watched copious cooking shows on public television and helped my parents prepare meals whenever I could. To me, cooking was always about enjoying that thrill of participating in a process that takes you from individual ingredients to final dishes. Q: What do you like most about creating your own recipes? A: I think it’s that aura of discovery that occurs when you start experimenting with different flavors and preparation techniques. 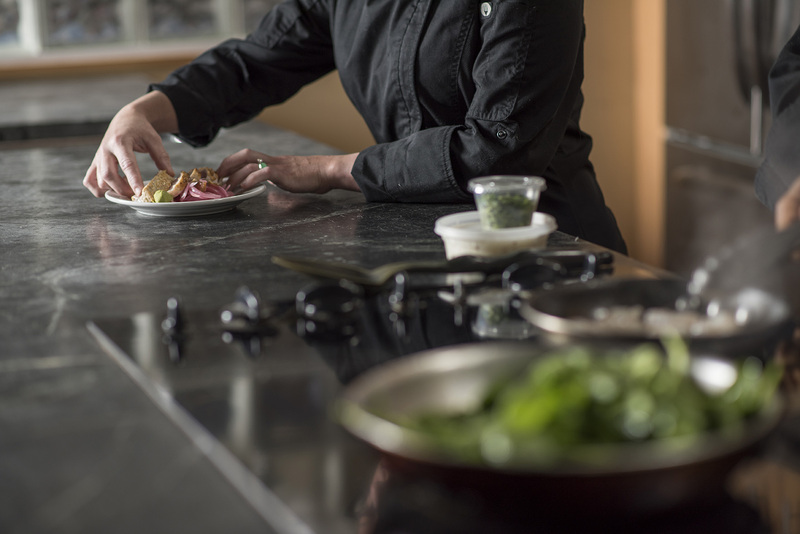 I’m not afraid of taking a “test kitchen” approach to recipe development at home. 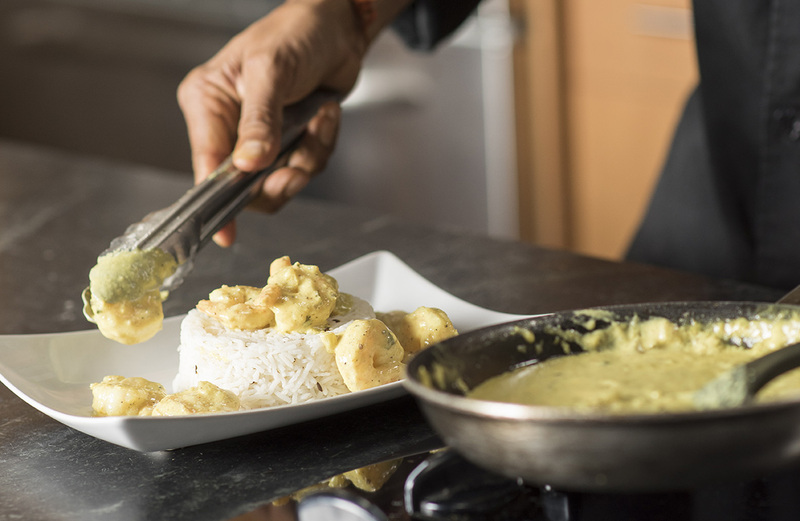 When that final dish comes out of the oven or off the stovetop, there’s something intensely satisfying about literally tasting the results of your experimentation. Q: What do you appreciate most about dining in York? A: I can’t say enough good things about the dining diversity in downtown York. 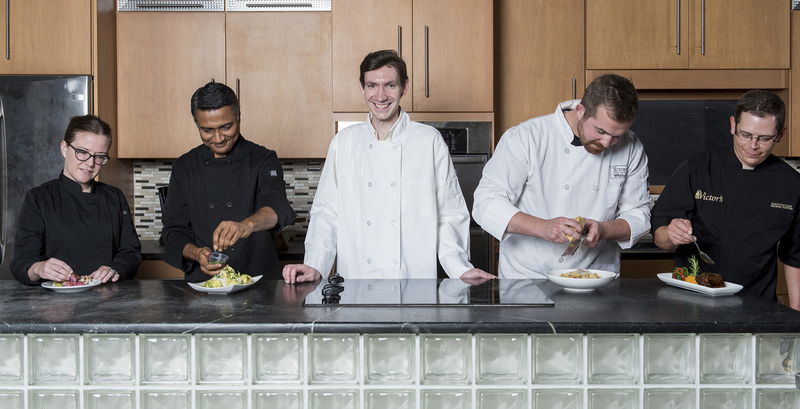 I have to acknowledge the work of culinary professionals such as Chef Hamir Patel of Infusion Indian Kitchen, Executive Chef George Sheffer of Victor’s, Chef Taylor Davis of Tutoni’s and Executive Chef Abby Shelley of Rockfish Public House (pictured at left). 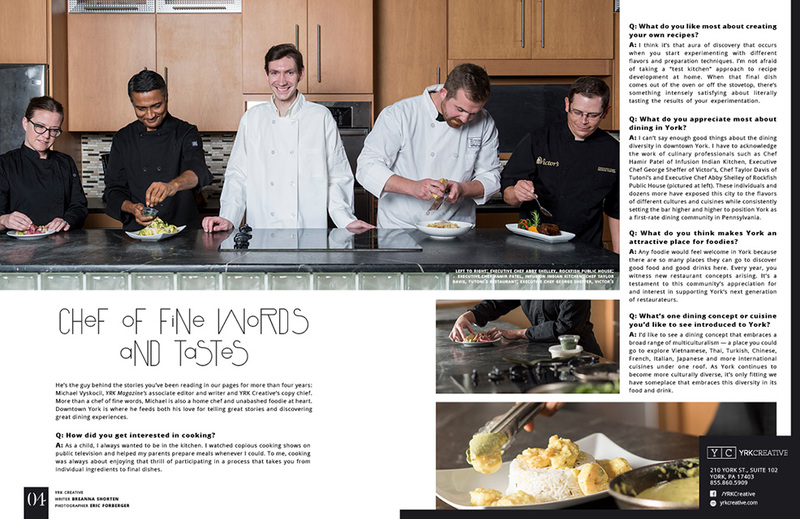 These individuals and dozens more have exposed this city to the flavors of different cultures and cuisines while consistently setting the bar higher and higher to position York as a first-rate dining community in Pennsylvania. Q: What do you think makes York an attractive place for foodies? A: Any foodie would feel welcome in York because there are so many places they can go to discover good food and good drinks here. Every year, you witness new restaurant concepts arising. It’s a testament to this community’s appreciation for and interest in supporting York’s next generation of restaurateurs. Q: What’s one dining concept or cuisine you’d like to see introduced to York? A: I’d like to see a dining concept that embraces a broad range of multiculturalism — a place you could go to explore Vietnamese, Thai, Turkish, Chinese, French, Italian, Japanese and more international cuisines under one roof. As York continues to become more culturally diverse, it’s only fitting we have someplace that embraces this diversity in its food and drink.